If you are an artist, you will sooner or later face the need to showcase your talent and present your works to the target audience. With so many competitors, it is crucial to be able to attract user attention, keep them engaged and interested in your creative achievements. This is especially true, if you also intend to make profit, selling your works of art and promoting your talent. A website will become a helpful tool, if you are ready to go online and grow your fan base. Let’s face the fact: most artists just don’t have time to learn complex web design nuances, even if they have such a desire. Being busy with their creative life, exhibitions and presentations, they need a simple and understandable tool that will allow them to create a DIY website without the necessity to learn the basics. This is what makes a website builder the best choice for launching websites for artists. These services are user-friendly, affordable and convenient. They help you cut down your time and effort needed to run a functional and appealing website. What’s important, you don’t have to be a web design expert to complete a project on your own. With a quality website builder, your artist’s website will look not worse (or even better) than a website designed by a professional. Websites for artists launched with website builders have attractive design and all the required features to grab user attention. They contain all the important information about your biography, career, talent, achievements, events and news. Artists are often searching for web building tools, which will help them complete the task without extra investment of time, effort and money. At the same time, however these systems should possess powerful functionality that will be enough to cover the entire range of web design requirements. They should also put an artist in charge of the web development process, making it simpler to update and manage the resource when needed. If you have made the decision to use a website builder to launch your artist’s website, then you should spend some effort and time to explore the characteristics and features of the most popular services. Let’s compare some of them now. Wix – is the best website builder and hosting for artists, who intend to get a high quality website in almost no time. The system comes with a powerful feature set, visual editor, intuitive interface and professional customizable industry-specific templates. With the advanced Wix ADI technology, you can create a high end artists’ website by submitting information about your creative life and adding the gallery of your works. The system will automatically take care of the rest, generating a professional website for you. If you wish to make any changes yourself, you are welcome to use the standard editor, which is also available here. Wix lets you connect a blog to your website. If you have an intention to offer some of your works for sale or issue gift certificates, discounts and other special offers, you can create a web store with this purpose. A free integrable Wix Art Store widget available in the App Market has everything you need to present, promote and sell your artworks directly at the website. Just upload the photos, specify the prices, set up payment options and start selling. Other widgets (Event Calendar, Wix Pro Gallery, Wix Events, Wix Video, Gift Card) will also have positive impact upon your website functionality. Apart from that, Wix offers a rich choice of mobile-ready and fully customizable templates for artists’ websites. Cost: Wix has a lifetime zero-cost plan for users willing to start for free. The cost of the paid plans starts with $4.50 and goes up to $24.50 per month. uKit – is a code-free system that offers everything artists might need to create beautiful portfolios. There are no limitations to the creative ways you can express yourself, as uKit caters for creatives of all genres. With uKit, you can literally create a full-featured website in around an hour, filling it with your own content. The website builder comes with an intuitive drag-and-drop website editor, convenient dashboard and helpful guidelines to let you design and manage top notch websites for artists. It’s good to mention that uKit lets you create full-fledged websites that will not only showcase your artworks, but also perform other functions including gathering information from your website visitors through email forms and LiveChat, blogging, and even eCommerce. To cut down the development time, uKit offers a set of responsive themes, where you can come across templates suitable for building artists’ websites. Cost: The cheapest uKit plan constitutes $4 per month, while the most expensive subscription costs $12 per month. You can test the paid features for free during the 14-day trial. Bookmark – is a website builder, where you can easily launch an artist’s website without spending a fortune on it. You don’t have to possess design or coding skills. The website builder ensures intuitive web building experience, providing a rich feature set – that’s exactly what non-professionals need. 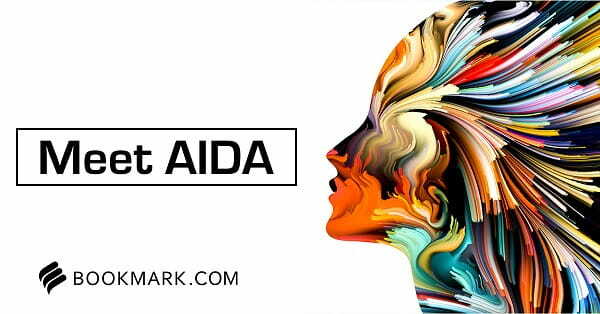 AIDA Assistant is the top Bookmark feature, which can automatically design an artist’s website in less than a couple of minutes. The only thing you should do is to submit the content you’d like to be displayed at the website and watch the result. To impress your website visitors, the system allows setting a unique video background to tell your story. It’s also possible to upload free images and videos to create positive visual impression. Bookmark Photo Editor lets you edit the uploaded photos to adjust them to your website structure. What’s more, Bookmark provides an integrated eCommerce module you can use to start and manage an online store to sell your artworks, souvenirs or brand accessories. Cost: Bookmark has a free plan and two paid subscriptions. Their cost constitutes $11.99 and $24.99 per month when billed yearly. If you decide to make monthly payments, the cost of the paid plans will be $15 and $30 per month correspondingly. 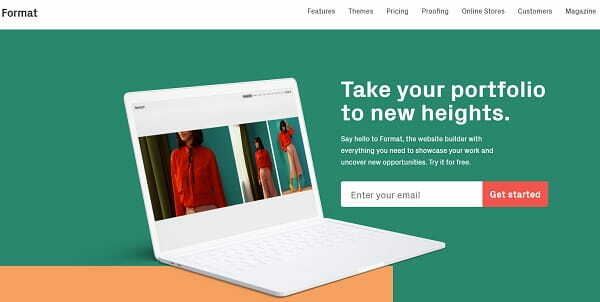 Format – is a specialized website builder for artists, which makes it possible to create impressive projects to showcase different kinds of artworks. The system is positioned as a progressive portfolio website builder, which comes with a visual editor and offers a set of industry-specific features. The service will work great for artists, who wish to present their photos and artworks in the website format to effectively promote their skills, products and services. The website builder has an integrated web store, which lets you sell digital or physical works of art. This is the place, where you can regularly update the assortment of products, set up payment and delivery options. The system also allows launching and connecting a blog to your artist’s website to boost user interaction and involvement into the creative process. To quickly publish and edit your photos, you can additionally download or install Adobe Lightroom or Format Publisher plugin. It’s also possible to upload photos to website galleries by using your mobile iPhone app. All in all, Format allows creating three types of web pages – Gallery, Custom Pages and Collection. If you plan to create a project in cooperation with your partners, you can reach the Proofing Section to enable/disable certain website sections and modify access to them. Cost: Format has a 14-day free trial and three paid plans, the cost of which ranges between $6 and $25 per month depending upon the features included. 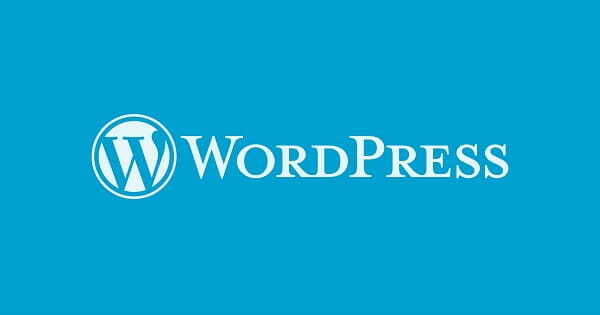 WordPress – is one of the most popular and functional Content Management Systems used by artists. The system is more complicated than website builders and implies the knowledge of web design skills. It also comes with extensive integration options, which has positive impact upon the result. It takes more time to create websites for artists with WordPress, but the result is worth that. The system has a set of built-in templates and plugins, but this is not enough to launch a large-scale project. To get the most out of the web design process, you’ll need to browse the web and select extra themes and plugins to be further integrated into your website. Some of the most popular plugins for WordPress are as follows: NextGEN Gallery, Trackable Social Share Icons, SEO Friendly Images, Thank Me Later, Yoast, Ultimate Security Checker, GigPress and The Events Calendar. Cost: The use of WordPress is absolutely free. To get your website online, however, you’ll have to take care of hosting and domain name integration. The cost of hosting your website with the cheapest Siteground plan, for example, will constitute $3.95 per month. Quality plugins and templates also come at extra cost. A quality website is an indispensable tool for artists, who pursue long-lasting goals and wish to effectively showcase their talent on the web. To get the most out of this project, however, you have to try your best effort to make it logically-structured and full-featured. If you feel that you lack the required web design skills, using a website builder will be the best solution. Wix is the best website builder for artists, who have serious web design aspirations and look for a professional DIY service with advanced functionality. The service offers the intuitive Wix ADI tool, mobile-ready templates, design customization features and artists’-specific widgets. uKit is a small business website builder, the range of features and reasonable pricing policy of which make it one of the best contemporary web building solutions. The system is known for its responsive website templates, integrable widgets and reasonable pricing. Format is a specialized website builder for creating artists’ websites, which come with advanced portfolio management and promotion options. The platform comes with integrable web store, specialized plugins, shared access option and other features crucial for artists’ websites. Bookmark is a cloud website builder, the highlights of which are AIDA Assistant, eCommerce module and extensive image editing options. These tools make the process of launching websites for artists intuitive, quick and simple. WordPress is a remarkable CMS for artists, effective use of which requires extra integrations and coding knowledge. Plugins and templates you can integrate into an artist’s website will bring its performance to the top notch level. 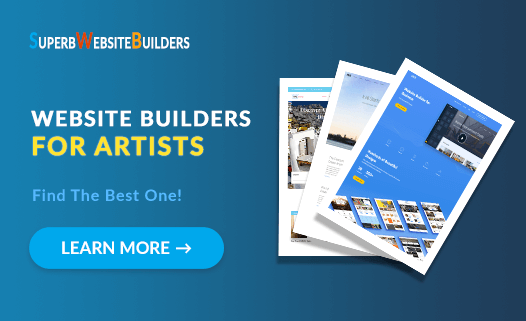 Choosing the best website builder for artists is often a challenge. If you manage to find the service that completely comes up to your needs and expectations, you’ll surely get a full-featured website. Take your time to try the systems reviewed in the post to make the unbiased decision.